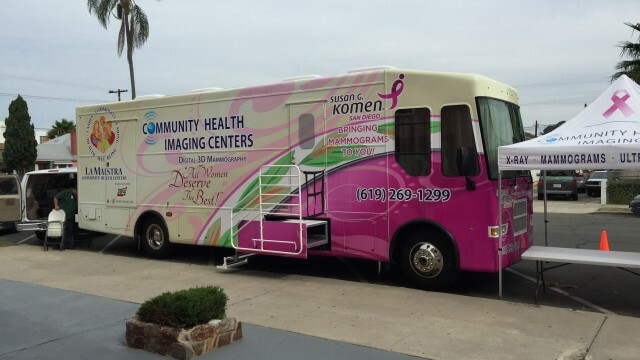 Susan G. Komen San Diego, the county’s largest funder of free breast cancer services and support, and the San Diego Chargers will offer free mammograms Wednesday. 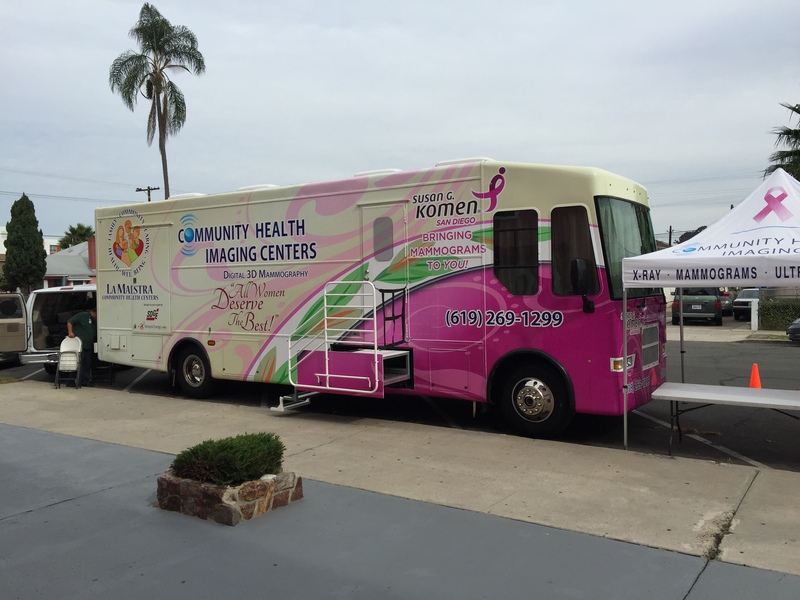 The event, which is co-hosted by the Family Health Centers of San Diego, Family Medical Clinic and La Maestra, will offer services to underinsured or uninsured are encouraged to obtain breast cancer screenings at this event. To be eligible for a free screening at this event, patients must have had their last mammogram a least one full year ago (365 days ago or longer). If it hasn’t been a full year, dial 211 to speak to a Komen breast health specialist who can direct you appropriately. All participants will also receive a primary medical placement and be linked to a medical home, which is important for following up each year. Additional breast health information will also be available. The event will take place at Qualcomm Stadium Club Lounge 5 (Gate B) at 9449 Friars Road in San Diego.